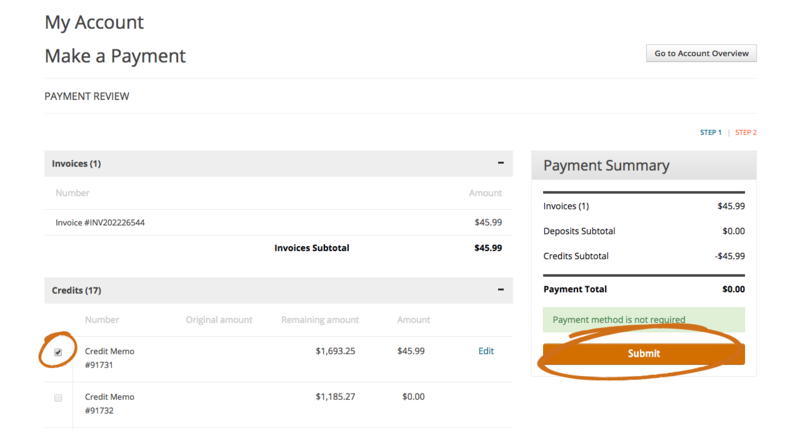 Net 30 customers: follow these easy steps to pay open invoices from your recent orders. If you aren’t signed in, move your mouse over My Account and click Sign in from the dropdown menu. Once signed in, move your mouse over My Account and click Overview from the menu. If you are already signed in, move your mouse over My Account and click My Account from the menu. Once you’ve made your way to the My Account dashboard, find Account Management on the left and click to show the menu. Click Pay Invoices. 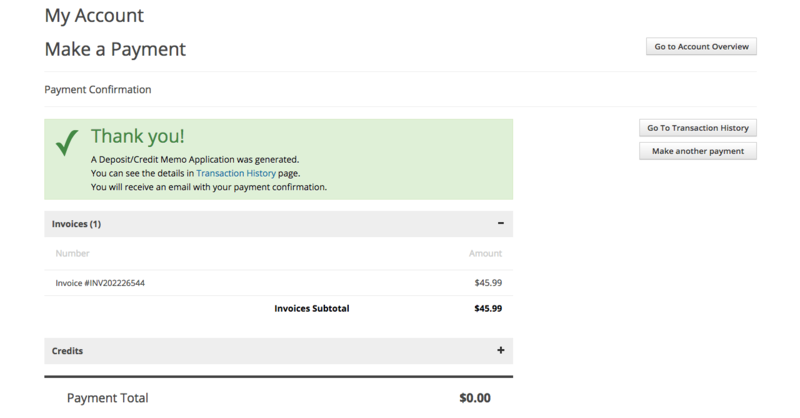 Your unpaid invoices will be displayed on the Pay Invoices page. Click the *Continue to Payment* button below your statement to pay. Check the box next to the invoices you’d like to pay. The Payment Summary will be updated to show the total amount of selected invoices. In the pop-up box, enter the amount you would like to pay. Next, confirm your Payment information. To use a credit card on file, enter the number on the back of your card into the Security Number field. To edit or add a new payment method, use the Edit Card or Change Card links. Make sure your Billing Address is correct for the card you’re using to pay (you can edit or change using the links in this section), and click Submit.